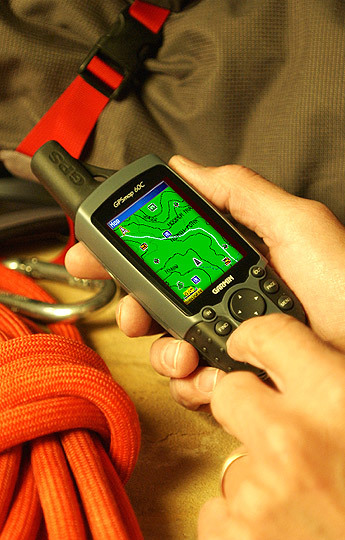 The GPSMAP 60Cx is a refreshing upgrade of the GPSMAP 60C, one of our most popular models for outdoor and marine use. This unit features a removable microSD card for detailed mapping memory and a waterproof, rugged housing. The microSD card slot is located inside the waterproof battery compartment. Users can load map data and transfer routes and waypoints through the unit’s fast USB connection. In addition, this unit features a new, highly sensitive GPS receiver that acquires satellites faster and lets users track their location in challenging conditions, such as heavy foliage or deep canyons. Considered the mainstay among serious outdoor enthusiasts, the GPSMAP 60Cx offers a large color TFT display and turn-by-turn routing capability. Each unit comes with a blank 64 MB microSD card. Owners of these new x-series handhelds can also purchase new microSD cards that are pre-loaded with MapSource® Topo and inland lake maps, BlueChart® marine cartography, and City Navigator™ street maps. Supports English, Spanish, Portuguese, and French languages. Compatible with most MapSource products. See the MapSource Compatibility table (top right) for a list of software that Garmin recommends with this product.